Caring.com has helped thousands of families find high-quality senior care. To speak with one of our Family Advisors about memory care options and costs in Palatka, call (855) 863-8283. Of the 10,389 people who live in Palatka, 1,745 are 65 and up. Putnam County has 73,083 people, and according to Elder Affairs, it's likely that 1,984 of them have Alzheimer's disease or dementia. There is only one memory care facility in Palatka, but there are 10 more nearby. Florida regulations mandate that any assisted living facility must get an Extended Congregate Care license before supervising and housing Alzheimer's patients. Crime ranking is based on a 100 point system with one being the lowest and 100 representing the highest amount of crime. Palatka's violent crime rate is 90.3, which is nearly triple the U.S. average of 31.1. The U.S. average for property crime is 38.1, and Palatka's ranking is 81.5. Florida residents don't pay a state income tax. This can be a real boon for those who receive Social Security or a pension, including seniors. That extra cash on hand can be used to mitigate the cost of memory care. Florida is well-known for its climate, and Palatka is a perfect example. Its Sperling's Comfort Index is a 79 out of 100, while the national index is 54. This is based on several factors, such as the pleasant temperatures. Winter lows are a mild 44 degrees, and the summer highs only reach 92. Palatka doesn't get any snowfall, but it does receive an average of 53 inches of rain per year. The U.S. average of 39 inches is 14 inches less than Palatka's. Seniors with arthritis can enjoy 223 sunny days annually, while an average U.S. city only has 205 days of comforting sunshine. A national standard of 100 is used when computing cost of living indices. Palatka's cost of living index is 81.9, so it costs less to pay for food, shelter and other daily needs. If a family member has to reside in a memory care facility, it's likely to be less expensive also. Memory Care costs in Palatka start around $0 per month on average, while the nationwide average cost of memory care is $4,778 per month. It’s important to note that memory care rates in Palatka and the surrounding suburbs can vary widely based on factors such as location, the level of care needed, apartment size and the types of amenities offered at each community. Palatka and the surrounding area are home to numerous government agencies and non-profit organizations offering help for seniors searching for or currently residing in an assisted living community. These organizations can also provide assistance in a number of other eldercare services such as geriatric care management, elder law advice, estate planning, finding home care and health and wellness programs. To see a list of free memory care resources in Palatka, please visit our Assisted Living in Florida page. 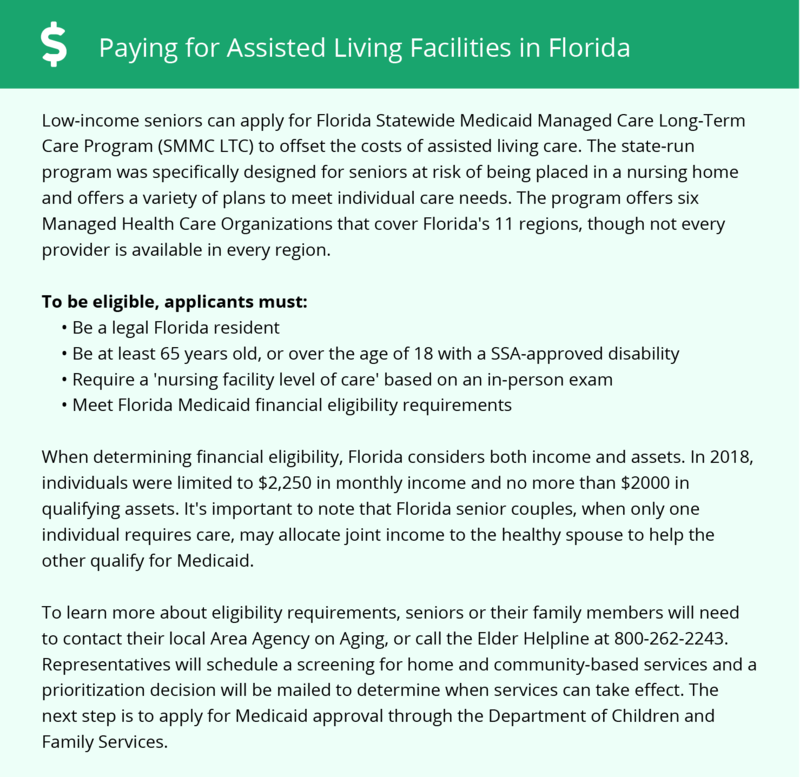 Palatka-area assisted living communities must adhere to the comprehensive set of state laws and regulations that all assisted living communities in Florida are required to follow. Visit our Memory Care in Florida page for more information about these laws.